OK….so I’m not saying I’m doing Vlogmas this year…but I’m basically doing Vlogmas. Now I know I swore blind last year that I wouldn’t do it again because it’s a lot of pressure, so that’s why I’m not SAYING I’m participating in Vlogmas ok?? Yeah, soooooo now I have justified the fact that you are about to be spammed with multiple blog and vlog postings over the next few days, let’s sit and chat about the reason I am here today! 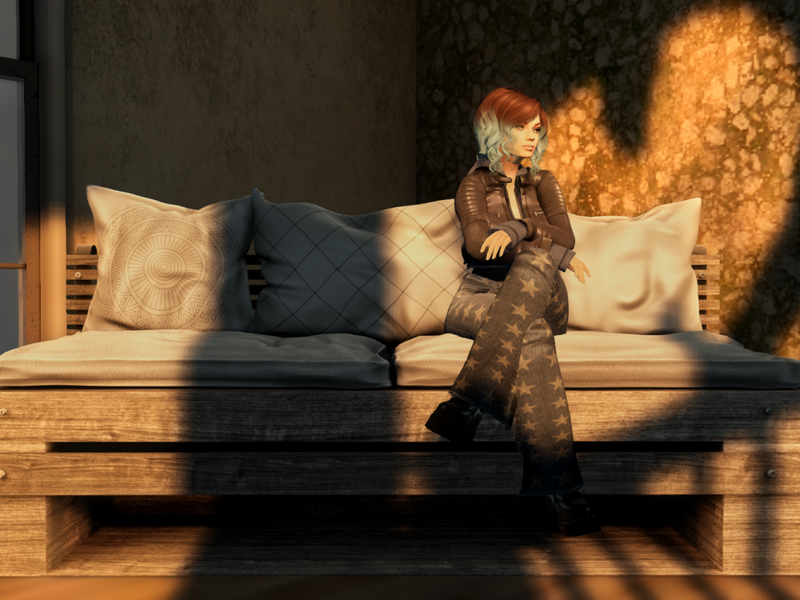 So, maybe a month or so ago I applied to blog for both the Second Life Christmas Expo and the Winter Art Showcase for a few reasons. 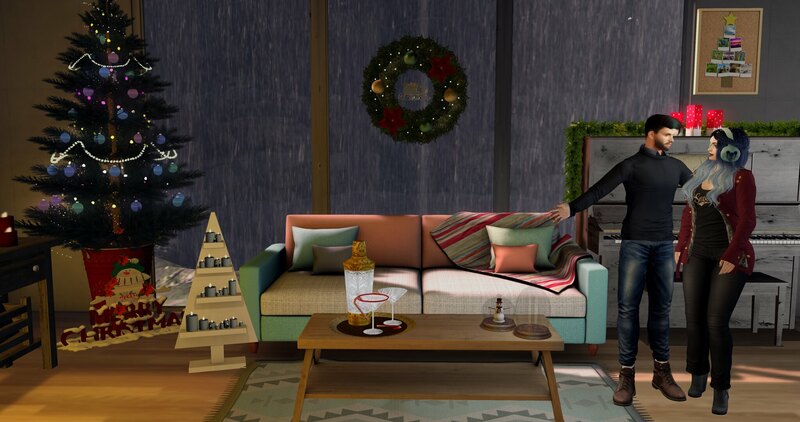 Firstly, I freaking LOVE Second Life Christmas. Seriously…my house explodes into this crazy sparkling example of all things Christmas and I go NUTS hopping from one advent calendar shop to another. I hang around at all the Christmas and Winter Sims I can find and if there is a Christmas event, I will sleuth that thing out, throw on my gaudiest Christmas gear and party on like the happiest Christmas elf ever. I have a problem alright? Secondly, you all know I am doing my postgraduate studies in online worlds. You’re totally over hearing about it…I get it. But here’s the thing…I am here because of those studies and it’s kind of important that I do some things that follow along the course of those studies and reveal aspects of reality within the world. So I wanted to be able to show what Christmas was like in the world through a series of posts and videos which is why I chose and event that covered all the bases. I chose to do the Winter Art Showcase as well because I had really wanted permission to be able to show an Art event as well as I know this is something that really confuses a lot of my academic peers. Thirdly, I wanted to be able to give something back. Christmas is the season of giving and both Events I am covering have connections with really important charities, which undoubtedly, I will talk about in future posts as well. 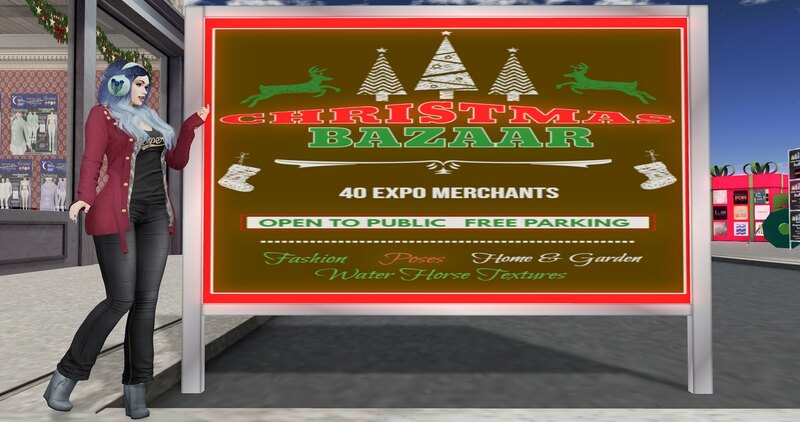 The Winter Showcase is affiliated with Team Diabetes in SL and The SL Christmas Expo is one of the largest fundraising events for Relay for Life. I can’t give a lot in the way of money, I am a poor art student after all, however I CAN give my time and my skills. And so, it is my honour and my privilege to be able to do so. Alrighty then, so where did I go with this particular VLOG/BLOG? I hopped on over to one of the SIX SL Christmas Expo Sims. Now this took me WAY longer than I thought it would in the editing so I am a little behind at this moment. There was a ridiculous amount of cutting and editing and I had some audio issues to do with my new set up where my Mic is next to my keyboard, so it picks up EVERYTHING. Every tap of my keys, every movement of my mouse…and it was LOUD. And as it was, I’d had to turn the gain right down in order not to get the sound of the very loud birds that were partying in the tree outside my window, so in the post processing, I had to boost the vocal volume of a thousand little cuts of audio. Ahhh the fun and games of editing video and audio. But back to the SL Christmas Expo, the SLEIGH RIDE sim is the merchant Bazaar where you can find over 30 fine creators selling their wares. At the stalls you will find items that give back a certain percentage of the proceeds of sales going back to Relay for Life in order to raise money for cancer research. It’s a great place to go shopping for Christmas fashion, homewares, decorations, poses and all sorts of stuff. You will find a lot of great bargains and you can feel good about spending because really, you are GIVING!!! Aren’t you a wonderful person!!! This will give you all the information you need to plan your trips to the expo. Check out all the events happening because there are so many you are bound to find something you like! There are too many merchants to list here but if you head on over to their stalls at the merchant Bazaar, you should be able to find a LM giver to their shop from there!